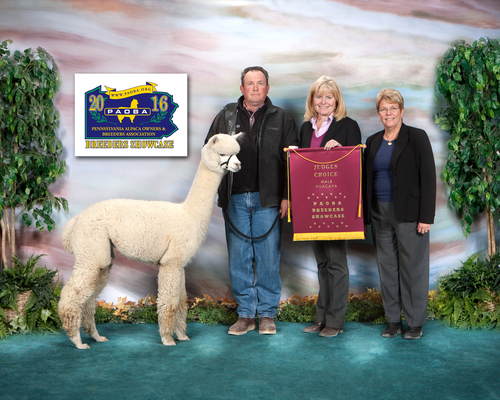 Sire of 2017 AOA Supreme Champion! 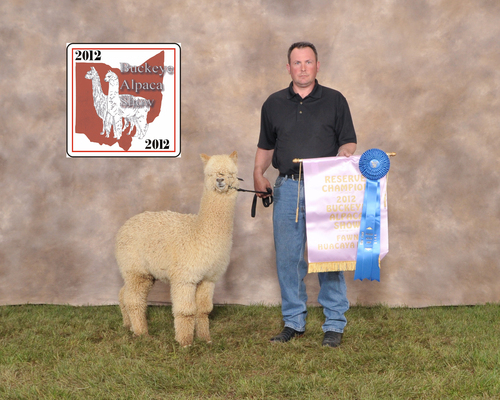 Zephyrus,our 10 time Champion,is what everyone wants to see in an alpaca. 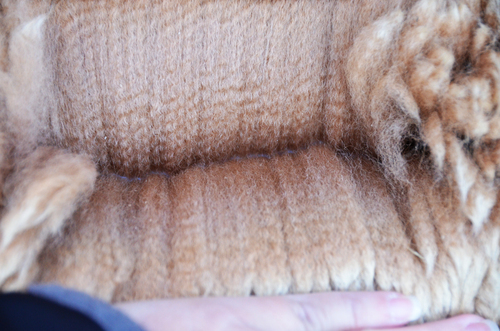 He is dense, has high amplitude crimp, and a fleece that is buttery soft. He has a typey head, and outstanding conformation. 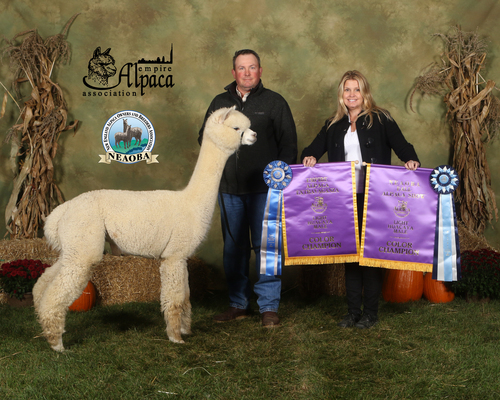 Judge after judge as referred to him as a model alpaca. Before reaching the age of two, Zephyrus had won 8 Color Championships. This gorgeous light fawn huacaya male has everything. Keep your eyes open for the Zephyrus offspring, as there will be no further outside breedings. 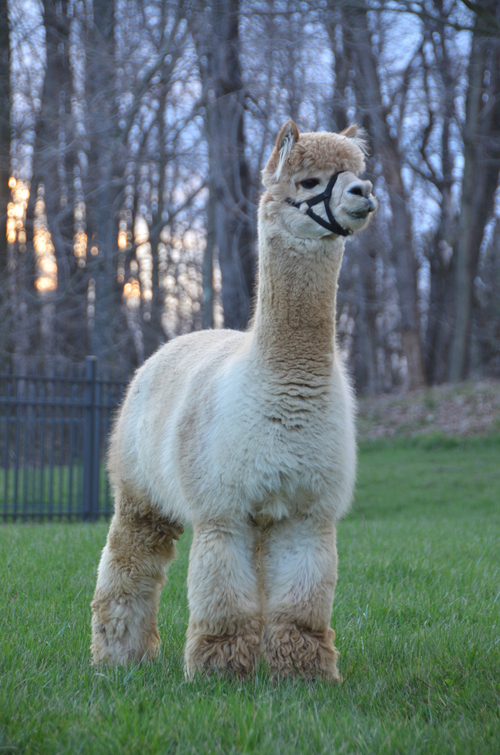 2AF Peruvian Zeus' first crop of offspring are here and we are delighted. He has made every color in the spectrum. Grey, Black, Brown, Fawn and White in 6 total offspring in 2015. Not to mention the first offspring to hit the show ring in his first show received 1st Place, Color Champion and went on to Judges Choice in BROWN! 2nd offspring and received 1st Place, Color Champion and went on to Judges Choice in White! We're needless to say "a little excited!" UPDATE 5/1/17: All told to date, in Zeus' 9 offspring they have racked up 27 blue ribbons, 16 color championships, 7 reserve color championships, 5 Judges Choice awards and the 2017 AOA Supreme Champion! 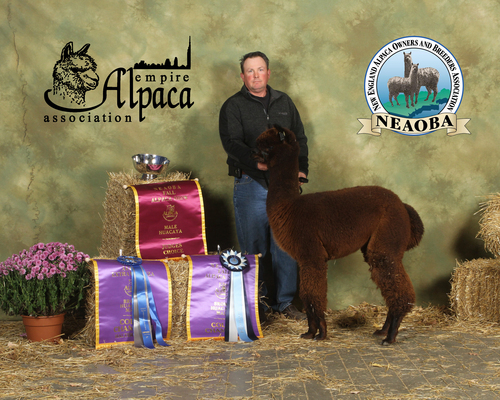 Proudly now co-owned with NorTex Alpacas.